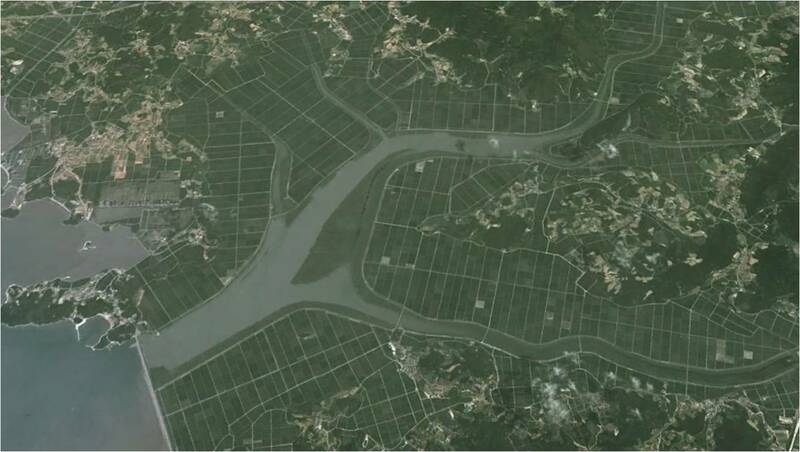 Last November I went with a group to Haenam (해남) County to look for waterfowl. This time I went with my friend Jason Loghry to follow up on a report of rare cackling geese that had been spotted in the fields surrounding Gocheonnam Lake (고천남호). Although the cackling goose, a breeding species of North America, is not an unusual species (at least, for me), it is very unusual for South Korea, and Jason was very excited to add one to his South Korea list. Haenam-gun is the main city in Haenam County, and is accessible by bus from Gwangju. 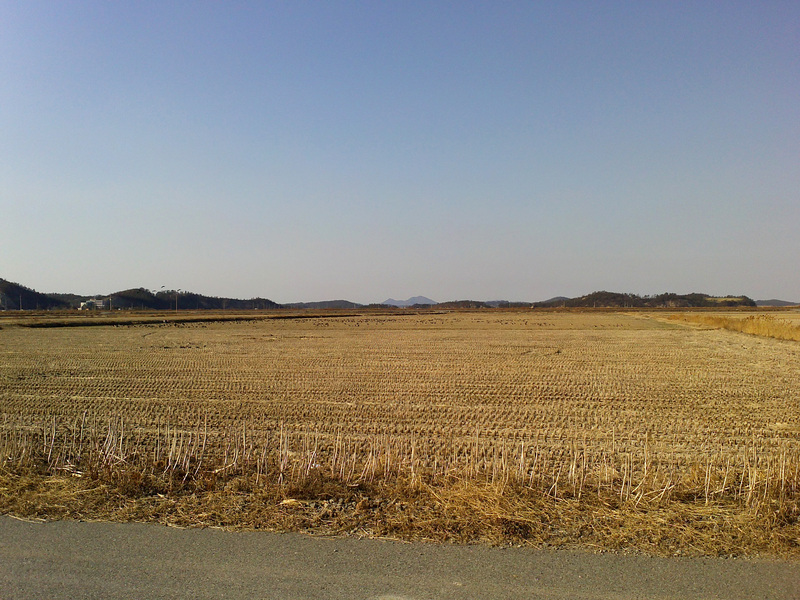 However, Gocheonnam Lake is not in the city limits, and is best accessed by car. It may be possible to hire a taxi for the day, but unless you are pretty good in Korea, it might be hard to get there. When we arrived, the lake was covered with a nice variety of waterfowl. The most numerous was common shelduck and Eurasian wigeon. Gocheonnam also hosts a lot of wintering great crested grebes and little grebes. Other species included common merganser, red-breasted merganser, gadwall, eastern spot-billed duck, mallard, and Eurasian teal. There were a few gulls flying lazy circles over the water, and these were identified as Vega gull and Caspian gull. A fair number of Eurasian coots rounded off this diverse group of birds. But there were few geese on the water, with the exception of a single sleeping greater white-fronted goose near the shore. We left the water to search through the surrounding rice fields, where the majority of the geese in the area were foraging. As it turned out, the fields were literally covered in geese. 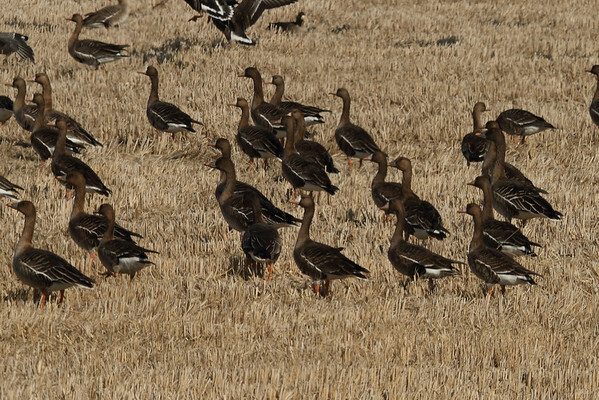 We estimated there were somewhere between 2,500 to 3,000 greater white-fronted geese in just a single cell of one rice paddy. Mixed in with these were numerous tundra bean-geese; careful examination also revealed the occasional taiga bean-goose and the vulnerable lesser white-fronted goose. However, all of our searching failed to reveal any cackling geese. 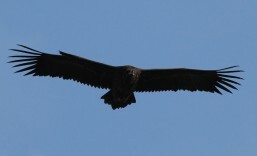 The bird is in the center of this photo – note the yellow eye ring. To the left are three more presumed lesser white-fronted geese. There are three different species of goose in this image. 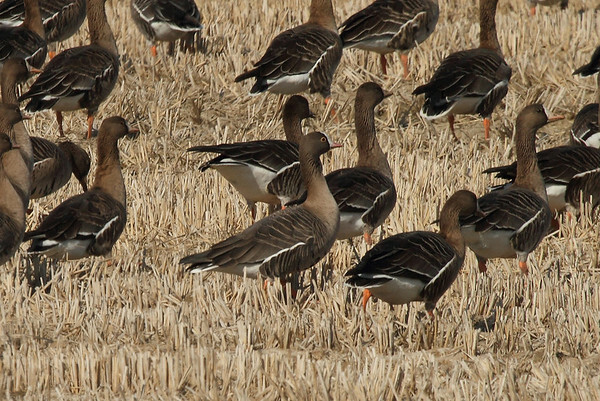 The flock is mostly made up of greater white-fronted geese; note the white forehead, from which the bird gets its name. There are several tundra bean-geese in this shot as well; they do not have a white forehead, and the bill is a dark brownish-black with an orange tip. These geese are approximately the same size as greater white-fronted geese. 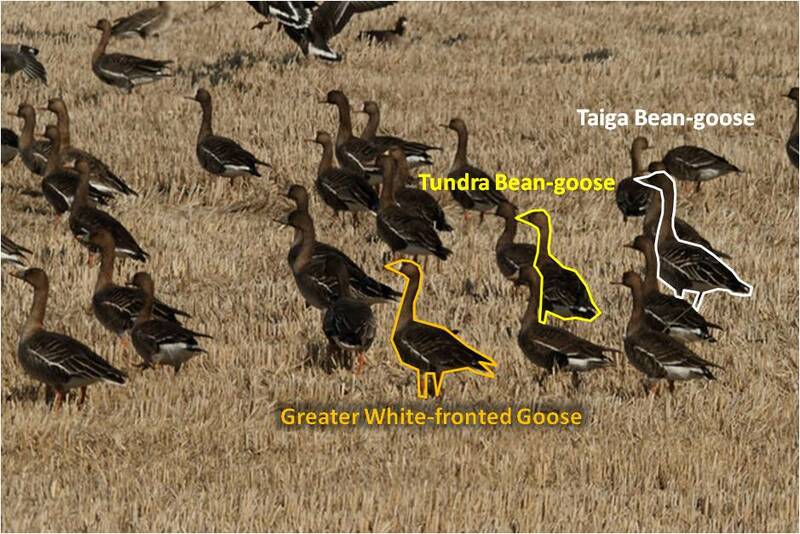 Lastly, there is one taiga bean-goose as well. This bird is identical in appearance to the tundra bean-geese, but is overall larger in size, has a longer neck, and a longer, more narrow bill, than the tundra bean-goose. Until recently, taiga and tundra bean-geese were considered a single species, and unless you have the chance to see the two species standing close to one another for comparison, it is often very difficult to tell them apart. But endless numbers of identical geese were not the only birds to be found around Gocheonnam Lake. 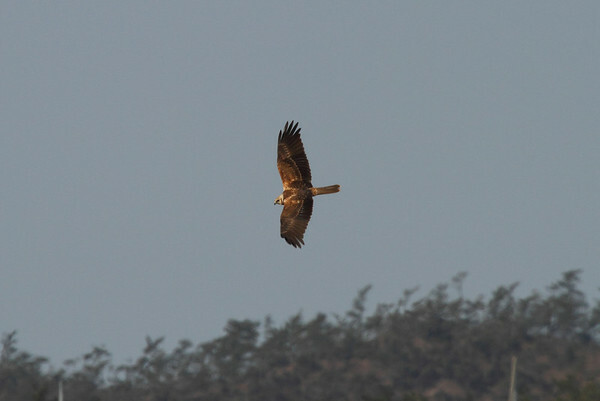 Winter brings many raptor species to South Korea, and we had the good fortune to see several species during the day. 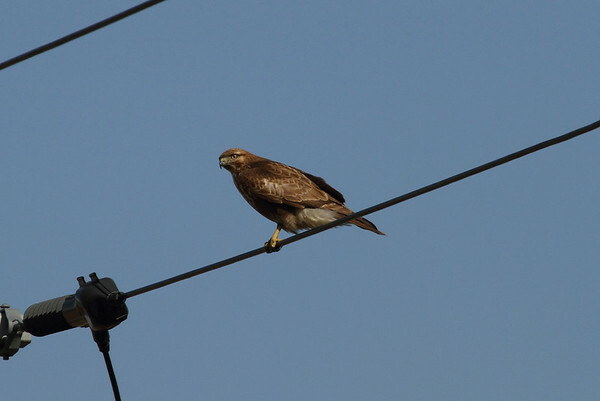 The most abundant species was the aptly named common buzzard; we saw five throughout the day. There were four bull-headed shrikes and a pair of northern harriers which included a beautiful adult male bird. 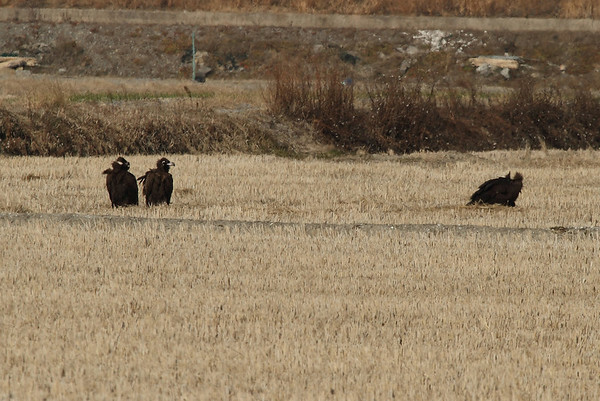 Soaring high over the area, and spending some time loafing in a field, were five cinereous vultures. And we also had singles of Eurasian kestrel, peregrine falcon, and eastern marsh-harrier (Lifer #610!). We ended the day with just under 50 species. With less than a week of 2014 gone, I have managed to observe 71 species. I was planning on doing a January 100 Species Challenge, inspired by my blogger friend Les, but I think I may have to up the ante to 125 species, just to keep things interesting.